NEW YORK (AP) — A candidate for New York’s state senate said Tuesday she was sexually assaulted five years ago by a spokesman for Israeli Prime Minister Benjamin Netanyahu, an accusation the man denies. 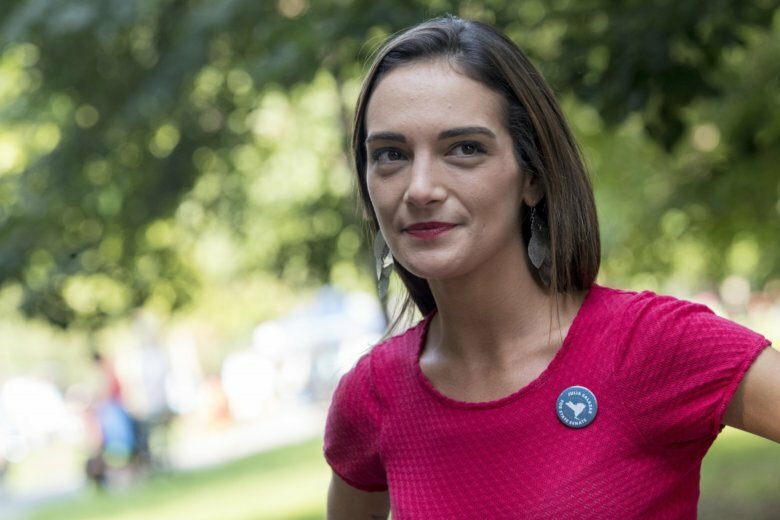 Julia Salazar, 27, whose insurgent campaign has attracted wide attention, said on Twitter that she was speaking out about David Keyes because she was about to be “outed” as a sexual assault survivor. Salazar’s spokesman added that she had been contacted by a reporter for conservative news site The Daily Caller. “Before this runs, I want to come forward and confirm that I was a victim of sexual assault by David Keyes — the Prime Minister of Israel’s spokesperson to foreign media,” said Salazar, who is seeking to unseat Brooklyn state Sen. Martin Dilan in Thursday’s Democratic primary. Salazar wrote on Twitter that she felt the Daily Caller was trying to cast doubt upon her allegations. “I strongly believe sexual assault survivors should not be outed in this way, and am saddened by the effect this story may have on other women,” she said. The announcement came as Salazar, who is hoping to join a wave of challengers toppling establishment Democrats, has faced scrutiny over embarrassing episodes in her past and intense criticism for misrepresenting elements of her biography. She gave public speeches and interviews saying she was an immigrant from Colombia when she was actually born in Florida. She also told people she had a degree from Columbia University when she did not graduate. Journalists also revealed that Salazar was arrested in 2011 on charges of fraudulently trying to access the bank account of the estranged wife of a famous neighbor, baseball great Keith Hernandez. The charges were never prosecuted and Salazar later sued Hernandez’s wife claiming she tried to frame her in the case. Kai Hernandez settled the lawsuit for $20,000. Salazar first made her accusations against Keyes in 2016 after he was named as a spokesman for Netanyahu. In a Facebook post, now deleted, she wrote that Keyes had physically coerced her into a sexual act in 2013 at his New York City apartment after they met for coffee. A campaign spokesman, Michael Kinnucan, said it was a friends-only post that was up for less than 24 hours. The allegation was reported in 2016 by Israeli media, but Salazar was not identified by name in those stories. Keyes also denied the allegations then, saying “there was absolutely no coercion in our encounter,” the Times of Israel reported, citing Israel’s Army Radio. Kinnucan said Salazar, who never reported the encounter with Keyes to police, was being forced to address the allegations publicly after being contacted by the Daily Caller. The website posted a story later Tuesday confirming it had told the Salazar campaign it was preparing a story saying she was the woman who anonymously accused Keyes on social media in 2016. The Daily Caller said Salazar’s campaign confirmed she was the accuser without asking to withhold her identity. Associated Press reporter Josef Federman contributed to this report from Jerusalem.